Seeking justice can be a slow, tedious process that severely tries one’s patience. The frustration that sets in can weigh heavily on those who want their wrongs righted, perhaps pushing them to take desperate measures. But, as understandable as those circumstances are, is the pursuit of such drastic steps truly warranted? Will they get the sought-after results? Or will they only compound matters, making things worse for all involved? 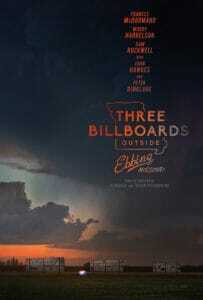 Those are the unsettling issues addressed in the new dark comedy, “Three Billboards Outside Ebbing, Missouri” (web site, trailer). Divorced single mother Mildred Hayes (Frances McDormand) leads a life of quiet desperation. Coping with the brutal death and sexual assault of her daughter, Angela (Kathryn Newton), seven months ago tears at her soul. 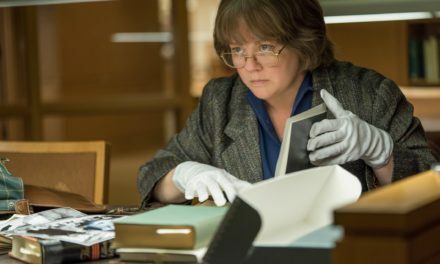 But what’s more frustrating for Mildred than the loss itself is the lack of apparent progress on the investigation by the local sheriff, Chief Willoughby (Woody Harrelson). So, drawing on the belief that turning up the heat on police officials will spur greater efforts to resolve the case, Mildred takes a dramatic step. 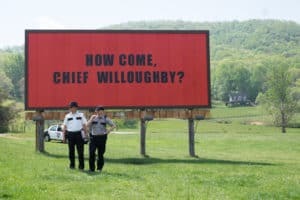 She decides to rent three long-abandoned, closely spaced billboards on one of the roads leading into her hometown of Ebbing, Missouri, and on them she posts pointed messages directed at Chief Willoughby, asking why no suspects have been identified, arrested and prosecuted. Grieving but frustrated mother Mildred Hayes (Frances McDormand, left) demands results from Sheriff Willoughby (Woody Harrelson, right) in the investigation of her daughter’s death in the new dark comedy, “Three Billboards Outside Ebbing, Missouri.” Photo by Merrick Morton, courtesy © 2017 Twentieth Century Fox Film Corporation. Understandably, Mildred’s plan proves quite controversial. The sheriff does his best to remain calm and collected, even going so far as to make assuaging overtures to Mildred to explain the difficult circumstances involved in this investigation. But the backlash doesn’t stop there; although many local residents sympathize with Mildred’s loss, they also believe that her efforts at calling out the sheriff in such a publicly humiliating way won’t solve anything and is patently insensitive toward him, given that he’s wrestling with personal issues of his own. Mildred’s plan draws particular ire from members of the local police force, most notably Deputy Dixon (Sam Rockwell), a hot-headed problem drinker who takes the criticism against the sheriff and his staff personally and resorts to drastic retributive measures of his own. Even members of Mildred’s own family, such as her son, Robbie (Lucas Hedges), and ex-husband, Charlie (John Hawkes), find her actions questionable, leading to a variety of reactions from gentle criticism to vile threats. 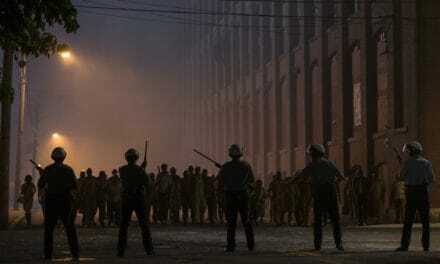 But Mildred is steely in her resolve, never backing down when confronted by those who try to intimidate her. 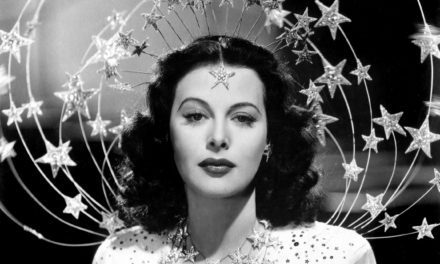 In fact, the more the heat gets turned up on her, the more she fights back, be it through her caustic, profanity-laden tirades or through actions that are even more radical than the posting of her billboard messages. In the end, however, one can’t help but wonder whether her actions are justifiable, particularly when it becomes unclear how effective these measures are. 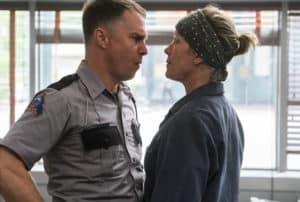 After irritating the local police force over alleged ineptitude, grieving mother Mildred Hayes (Frances McDormand, right) confronts Deputy Dixon (Sam Rockwell, left) when he disputes the criticism in director Martin McDonagh’s “Three Billboards Outside Ebbing, Missouri.” Photo by Merrick Morton, courtesy © 2017 Twentieth Century Fox Film Corporation. As becomes readily apparent, Mildred is indeed a force to be reckoned with. She knows what she wants to achieve, and she steadfastly sets out to accomplish it. And, because of this, she’s clearly someone not to be messed with. However, at the risk of playing devil’s advocate, one might also wonder, if Mildred is so effective at getting what she wants, then why have her measures not produced more definitive results? This might even lead one to rightfully believe that her billboard scheme was fundamentally ill-conceived in the first place. This places her in the position of learning what it means to have faith in one’s aspirations. Results may not materialize as quickly as we’d like or in the form we hope that they will, but, if we remain committed, something is bound to turn up. The tenacity will pay off at that point. But, in the meantime, we need to learn what it takes to continually move toward getting results that don’t cause even more problems in the interim, frustrating though the wait may be. Upset at his mother’s plan to spur progress in his sister’s death investigation, teenager Robbie Hayes (Lucas Hedges, left) confronts his grieving but frustrated mother, Mildred (Frances McDormand, right), in “Three Billboards Outside Ebbing, Missouri.” Photo by Merrick Morton, courtesy © 2017 Twentieth Century Fox Film Corporation. Director Martin McDonagh’s dark comedy, with its ample, in-your-face gallows humor and unrelenting sailor-inspired vulgarity, takes big chances on its way to easily becoming one of the best releases of 2017. With stellar performances by McDormand, Harrelson and Rockwell, the picture keeps us guessing, even when we think we’ve figured things out, using misdirections to keep viewers captivated throughout. Despite a slight tendency to drag in the second half, the film overall is a flat-out winner, though it’s definitely not something for sensitive or squeamish viewers. “Three Billboards” is easily a strong contender in this year’s awards competitions. It’s already picked up some notoriety, having earned three Independent Spirit Award nominations for best screenplay and for the impressive performances of McDormand and Rockwell. Look for this film to earn more kudos as awards season progresses. 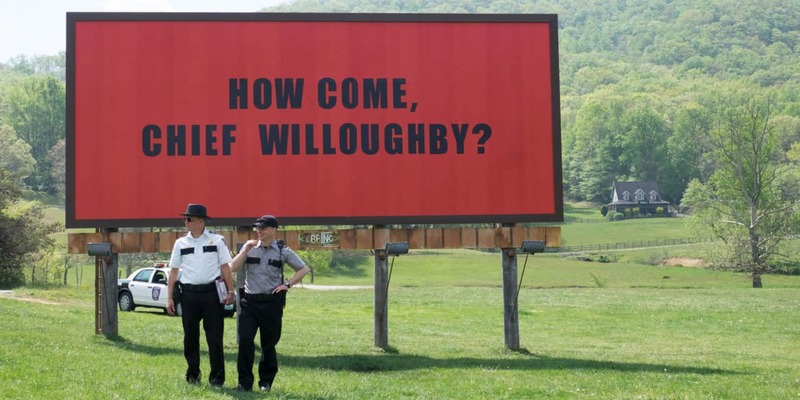 To get the attention of the local police force over a stalled murder investigation, a grieving mother posts pointedly critical messages on rural billboards, capturing the attention of Chief Willoughby (Woody Harrelson, left) and Deputy Dixon (Sam Rockwell, right) in the new dark comedy, “Three Billboards Outside Ebbing, Missouri.” Photo courtesy © 2017 Twentieth Century Fox Film Corporation. It’s been said the wheels of justice turn slowly, and that can be true even when we’re earnest in our efforts. However, the more we stay focused on realizing an equitable outcome, supported by beliefs to make it possible, the greater the chances of seeing those hoped-for results come to life. It’s been said that helping others is the best way to help ourselves. We get back what we put out, and, if that turns out to be goodwill and generosity of spirit, then that’s what will return our way. 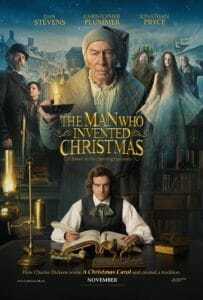 So it was for a world-class author seeking to get his life and career back on track after a creative slump, as demonstrated in the heartwarming new holiday offering, “The Man Who Invented Christmas” (web site, trailer). Two years following the resounding success of his novel Oliver Twist, author Charles Dickens (Dan Stevens) was experiencing a dry spell, having produced three literary failures in a row. With his personal financial situation growing increasingly perilous, he desperately needed to get his career back on track. However, that was easier said than done, given that he was also suffering from a severe case of writer’s block. And, with his publisher breathing down his neck, the situation was growing ever more dire. What to do? Just when all began to seem lost, however, Dickens came up with an idea for a new work – a Christmas novel with an uplifting message, tinged with elements of spirituality and the supernatural. His publisher was a bit skeptical, unsure about the market for a holiday themed book. What’s more, given that it was already October, the chances of getting the book written, illustrated, printed and marketed in time for the big day seemed highly unlikely. But Dickens was confident that he could pull it off, and, when his publisher raised ever more skepticism, the author decided to go it alone (and who said self-publishing was a recent phenomenon?). Drawing upon an array of influences from his everyday life to memories from his past and, perhaps most importantly, his dreams and vivid imagination, Dickens gradually began to piece together his new work. 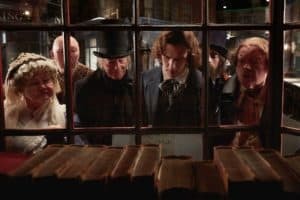 The book would tell the story of a bitter, miserly old business man named Ebenezer Scrooge who would come to learn the meaning of Christmas by changing his ways and becoming eminently charitable when confronted by ghosts from his past, present and future. 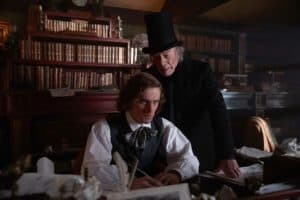 The writing particularly took off when Dickens began creatively interacting with an apparition of his book’s protagonist (Christopher Plummer), gaining insights into the character and how his story should play out. It was a collaboration that would eventually lead to the publication of one of Dickens’s most beloved and best-selling works, A Christmas Carol. In an attempt to overcome a severe case of writer’s block, author Charles Dickens (Dan Stevens, foreground) consults with an apparition of the protagonist of his emerging new work, Ebenezer Scrooge (Christopher Plummer, background), in “The Man Who Invented Christmas.” Photo by Kerry Brown, courtesy of Bleecker Street Media. Watching the writing process unfold – both in terms of crafting the story and preparing the finished book for public sale – reveals Dickens’s impressive ability to draw upon all of his creative resources to bring his project to life. But, perhaps more importantly, the film shows how Dickens’s personal philosophies became reflected through his work. As someone who always believed in philanthropy and magnanimity toward his fellow man, he now fleshed out those ideas through his prose, demonstrating the value of such traits toward both the beneficiaries of such generosity as well as to those who bestow it upon others. He uses his work to set an example for readers to follow (especially those who have the most to offer but who also may be the most reluctant to give of themselves). Dickens thus made a case for a lesson that everyone could learn from, a message that’s just as relevant now as it was in 19th Century England. In presenting the back story of this holiday classic, “The Man Who Invented Christmas” offers viewers a modestly entertaining look at how this work came into being. The film features fine performances by Stevens and, especially, Plummer, with both bringing their characters to life with convincing credibility and a great deal of wit. However, given the enduring charm of the book on which this film is based, truthfully I was expecting something a bit more “magical” out of this release, which, regrettably, comes across as surprisingly flat, with only periodic smatterings of wonder. To its credit, the picture does an excellent job of showing how we can draw inspiration from our surroundings and experience to produce amazing works of creativity, and it effectively reinforces the message of benevolence of A Christmas Carol. But, overall, the film is somewhat more pedestrian than whimsically serendipitous, which I found a little disappointing. In short, as holiday movies go, this one isn’t bad; it’s just not great. Surrounded by characters from his new work, particularly protagonist Ebenezer Scrooge (Christopher Plummer, with top hat at center left), author Charles Dickens (Dan Stevens, center right) gazes upon a bookstore window announcing the title’s upcoming release in the new holiday offering, “The Man Who Invented Christmas.” Photo by Kerry Brown, courtesy of Bleecker Street Media. Nevertheless, despite the picture’s shortcomings, it still conveys the message of goodness that Dickens sought to express through his life and work. And, given the state of the world these days, that’s something all of us can probably never be reminded of enough. A complete review will be available in the near future by clicking here. Looking for samples of some good reading material? Then check out the free downloadable PDF excerpts of my three books, Get the Picture?! : Conscious Creation Goes to the Movies, Consciously Created Cinema: The Movie Lover’s Guide to the Law of Attraction and the recently released Third Real: Conscious Creation Goes Back to the Movies, available by clicking here, here and here. Each excerpt contains the front matter, introduction and first three chapters. And, if you like what you read, visit my web site’s Store Page, which contains retail links for the print and ebook versions of each title. Enjoy! I’m pleased to announce that I’ve now launched a profile on the social media site Ello, the network for artists, creators and their fans. To visit my profile, click here.